Mrs Bridges Ploughmans Chutney 300G. 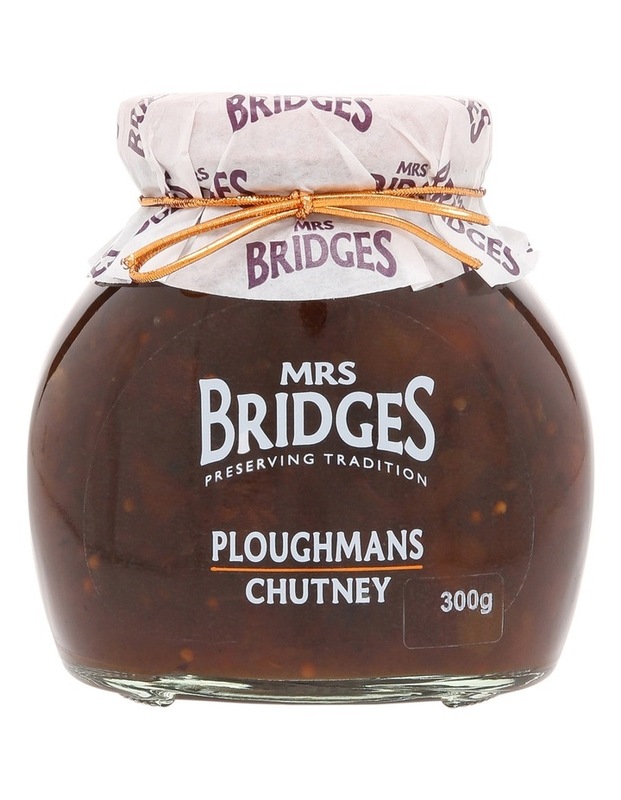 Mrs Bridges Ploughmans Chutney 300g jar. Mrs Bridges most traditionally British chutney. Sweet to taste and perfect when paired with a variety of cheeses. Mrs Bridges immortalises British heritage and tradition in a jar. This quintessentially British range of condiments and preserves are made in small batches, using traditional methods and bursting with the finest ingredients. While maintaining their signature jars shape, and traditional mop cap and bow Mrs Bridges have added a refreshed new look of copper and hints of colour to their packaging, which adds a touch of luxury to every product. Product weight: 300g net. Made in Scotland. ALLERGY ADVICE: Contains BARLEY. May contain date stone fragments.